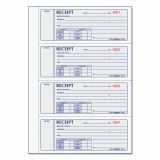 Rediform Money Receipt Book, 7 x 2 3/4, Carbonless Triplicate, 200 Sets/Book - Keep track of vital records with this hardbound, money receipt book. Each book contains 200 triplicates of numbered carbonless receipts. Each three-part page includes four receipts. 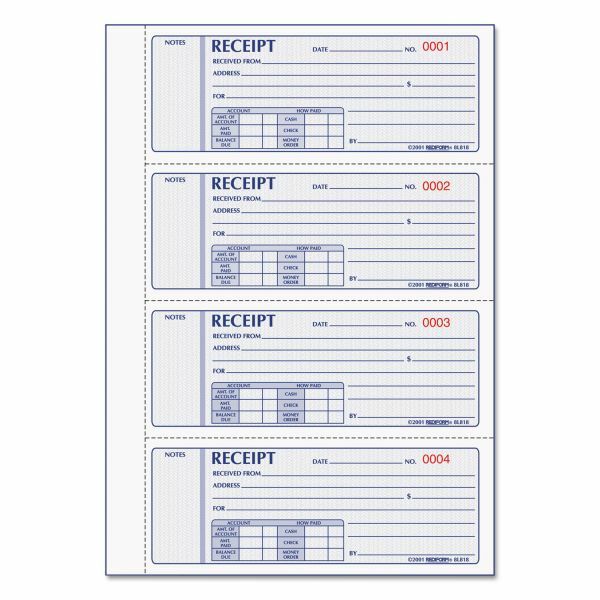 All receipts are consecutively numbered and offer prompts for date, payer, amount and payment method. Hardbound cover of the manifold book protects the receipts.